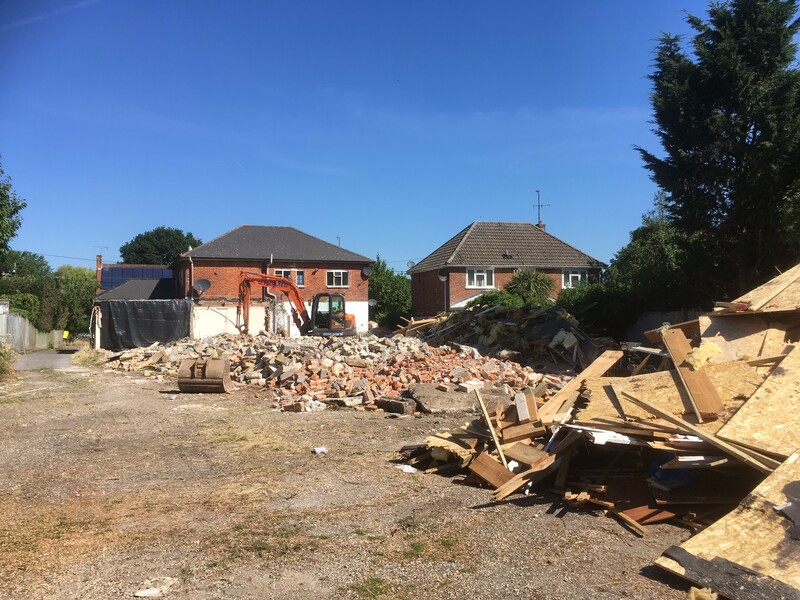 The demolition of the rear single storey buildings is complete. 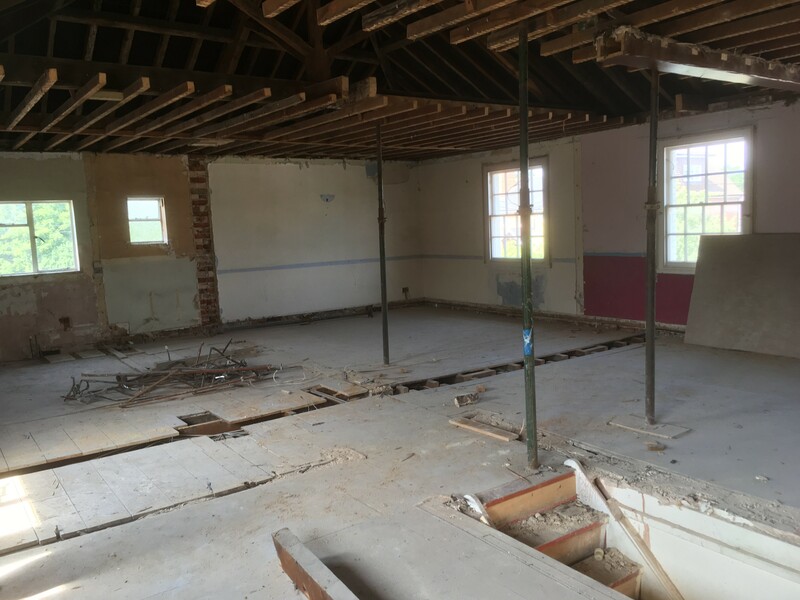 The flats have been stripped out to a shell with all partition walls removed. The rubble and waste material has now been removed using 8-wheeler muck away trucks. Using these larger vehicles has meant this operation was achieved with fewer vehicle movements and in a shorter time thereby keeping the disruption to a minimum. Most of the work this week will be confined to the rear of the site and internally to the two stripped out flats. Final site clearance will finish in the early part of the week. The site of the new-build units will then be marked out. Excavation and groundwork for drainage and foundations will start towards the end of the week. Work on construction of the new party wall upstairs separating off the left half of the main building to form a self-contained housing unit has been delayed due to the need to amend the design detail to address minor technical issues revealed during the stripping out of the flats. This work will now take place in this week. The shop and PO remain open as usual. Mr kumar has already noticed a significant drop-off in trade and the Council is obtaining vinyl banner signs to be placed outside to highlight that the shop remains open for business as usual. Residents can do their bit by continuing to use the shop for all their usual needs. Reminder: there will be the first monthly walk-in session at 6pm on Tuesday 25th July in The Rose Room. This is an opportunity for residents to raise questions and discuss matters related to Fieldfayre with a member of the Council. Future sessions will be held on the 4th Tuesday of each month.